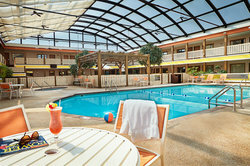 The Best Western Plus Dubuque Hotel & Conference Center is more than just your average hotel. 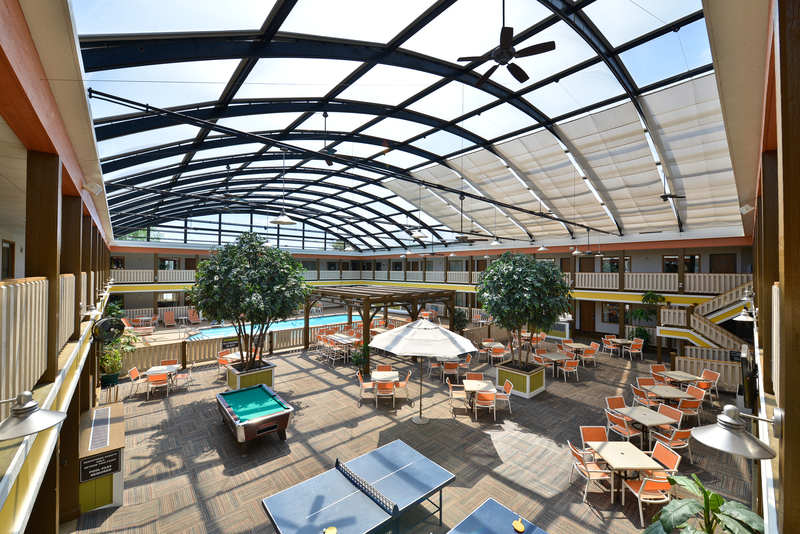 We have awe-inspiring amenities like the area’s largest glass atrium which houses the ultimate pool and lounge area. Order yourself a daiquiri and sit poolside 365 days of the year so that whether it’s rain or shine, you can get in an island state of mind. Whether you’re in town for business or are just passing through, there’s always something to be seen, heard or experienced, all within easy reach of our front doors. 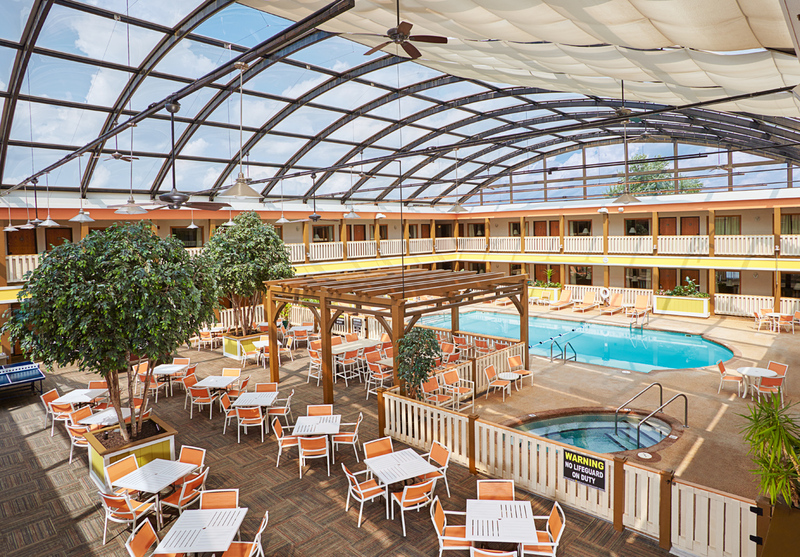 Located near the Mississippi River and Port of Dubuque, guests have quick access to local businesses, colleges, restaurants and area attractions. 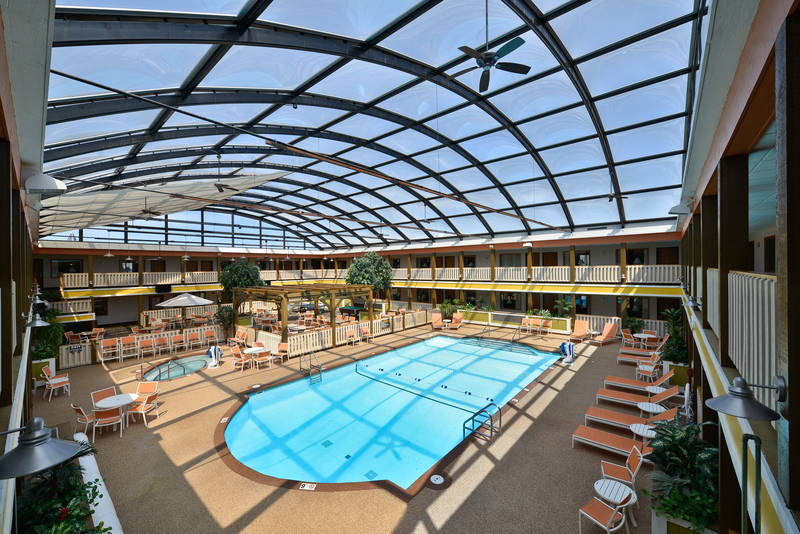 Rev up your morning by swimming laps or cool off with a refreshing afternoon dip in our heated indoor swimming pool with stunning glass atrium ceilings. 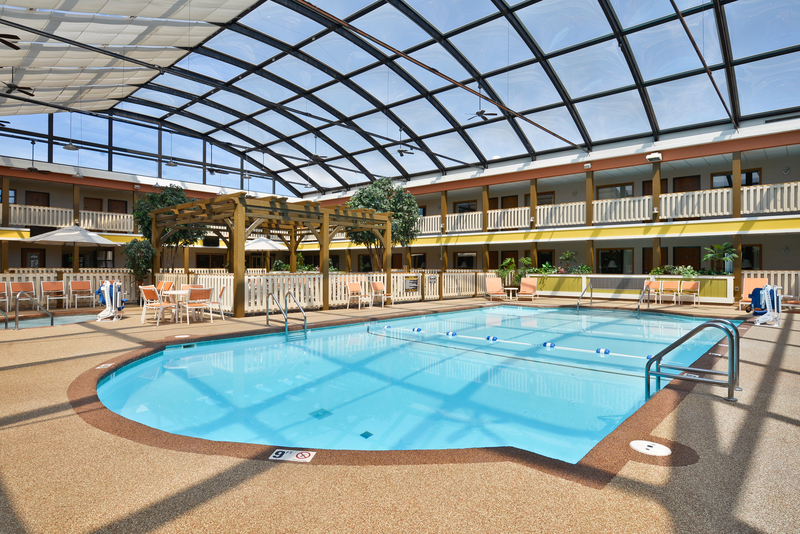 This Dubuque hotel features the largest indoor atrium and pool in the area for ahhh-inducing relaxation. 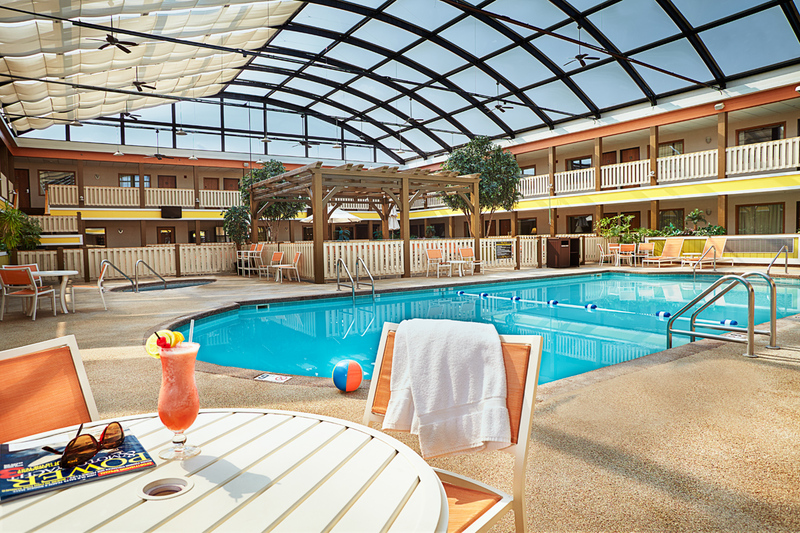 At the Best Western Plus Dubuque, we offer plenty of opportunity to stay relaxed and refreshed under the beautiful sunshine. 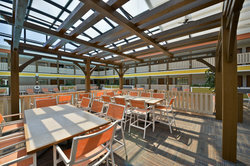 You can lie back on a cozy poolside lounge chair and soak up the sun via our glass dome. 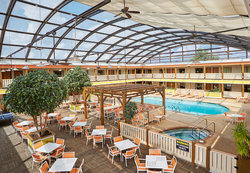 Order a cocktail and enjoy the spacious indoor atrium with pool and whirlpool hot tub. 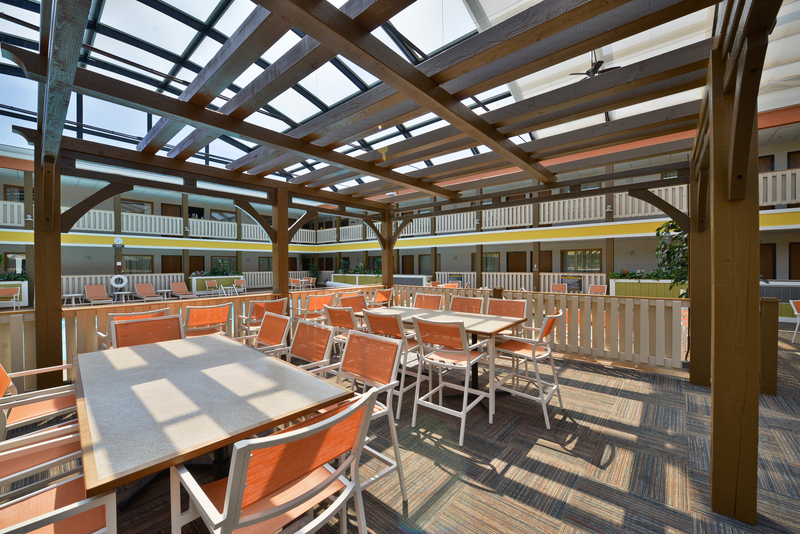 Our Atrium is hands down a favorite feature of guests who stay with us. 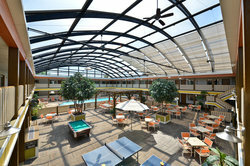 Enjoy a swim or simply hang out under a massive glass dome, meaning sunshine and a swim 365 days a year. 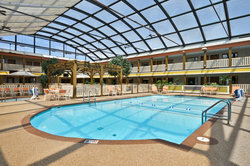 Whether you’re swimming for exercise or fun, you won’t regret taking a dip in such a unique indoor pool. 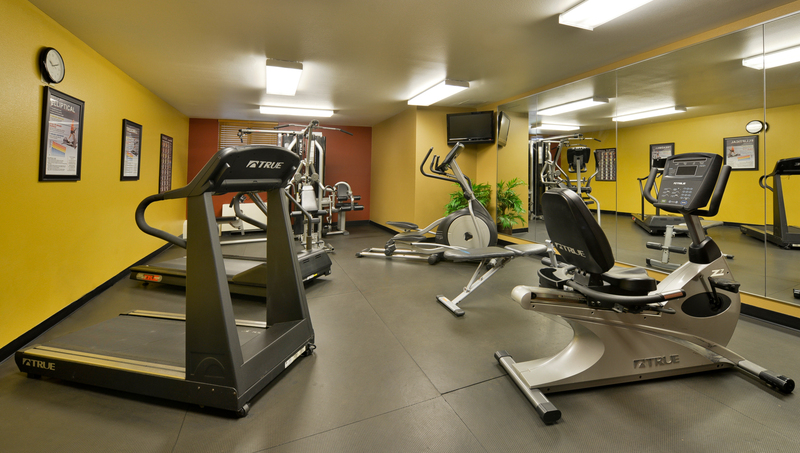 We know it isn’t always easy to maintain a proper fitness routine while you travel. 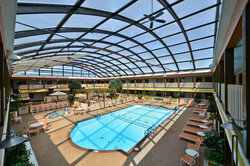 That’s why we offer our guests complimentary use of the on-site fitness center, helping you stay in shape on the road!